The shapes I used came from an older version of Visio (they have a copyright date of 1999), so there will have been border changes, and countries have surely appeared, been renamed, or disappeared entirely. (One change that comes to mind: Zaire is now Congo-something) But I imagine the shapes will nevertheless provide useful graphics for your geographic needs. Master icons are color-coded by region to ease the search in a stencil with 165 masters! 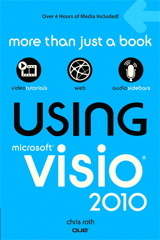 I am trying to use the Visio 2002 World Map in Visio 2007. I copy all the countries to the drawing, then do an Arrange to Shape. All the countries match up, but China is missing. When I look at the list of countries, I do not see China. I re-downloaded the zip file and re-extracted the countries just to be sure. Does anyone know what the problem is and how it might be corrected? Could you please show me how to add the contries name on the map? You can simply select a shape, and type some text. 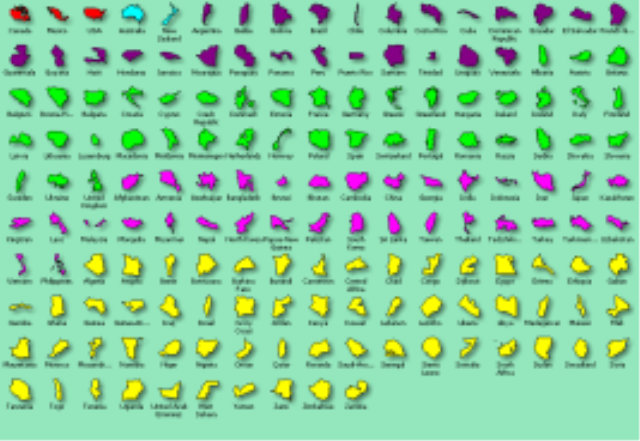 In the download, each shape has a Shape Data field called “Name” that stores the name of the shape. This field has been inserted (Insert > Field) as the text block for each shape. This is a bit different than typing, but opens up some data-related scenarios and programmability options. thanks for this, tried using the microsoft one but it’s missing china and india so a bit pointless for a world map. This one is missing singapore unfortunately but i can work around that. Yeah, Microsoft gets in trouble legally with China and India if they ship art that has borders that each country doesn’t agree with. It’s pretty ridiculous, since most people are using these shapes as conceptual representations. Ie: “Server located in China”, and the actual borders don’t matter. Didn’t catch the S’pore was missing, looks like I forgot to check it, lah. Of course on this map it only would be a teensy weensy quadrilateral, so you’re just as well off drawing a circle. I would like to only shade in certain states of the US in the World Map. I downloaded the North America map but the USA doesn’t match up to the USA in the world map. Any suggestions?